Posted on December 6th 2009 at 2:57pm	 in Dinosaurs, Miniatures. 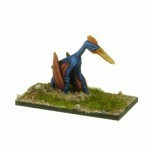 Some bad news about Dazed Miniatures – the range is being withdrawn from sale. The silver lining is a 30% off sale to clear the remaining stock. 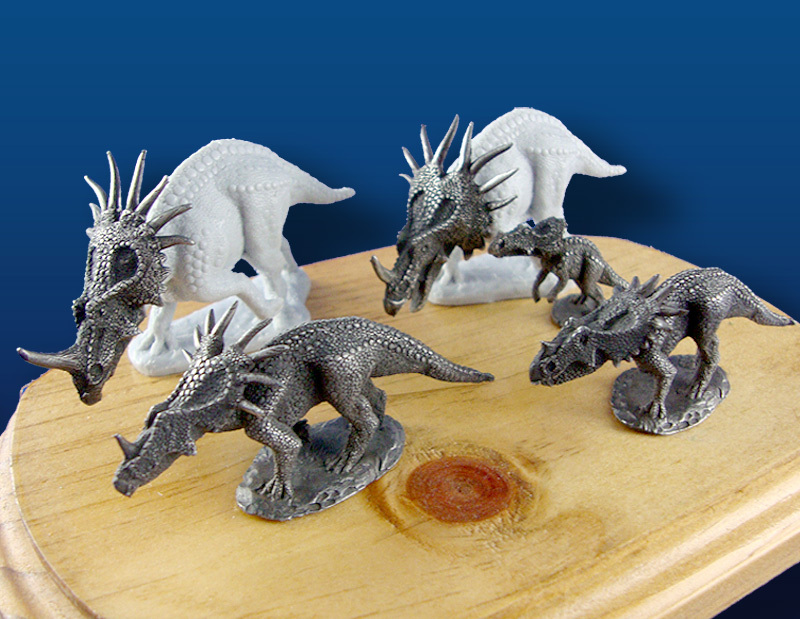 Dazed Miniatures was a partnership and it has been been ended by one partner (the Sculpter) withdrawing the licence to produce any of the figures we made. RLBPS still owns the molds but can not run them. I wonder what it is with Richard Deasey’s lines? 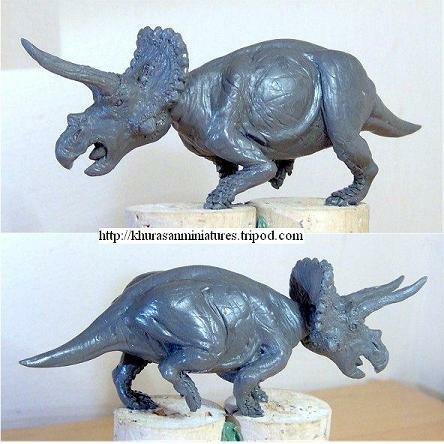 He sculpted the second half of the the HLBS prehistoric line and then took it away to found DZ Miniatures, which vanished soon afterwards. 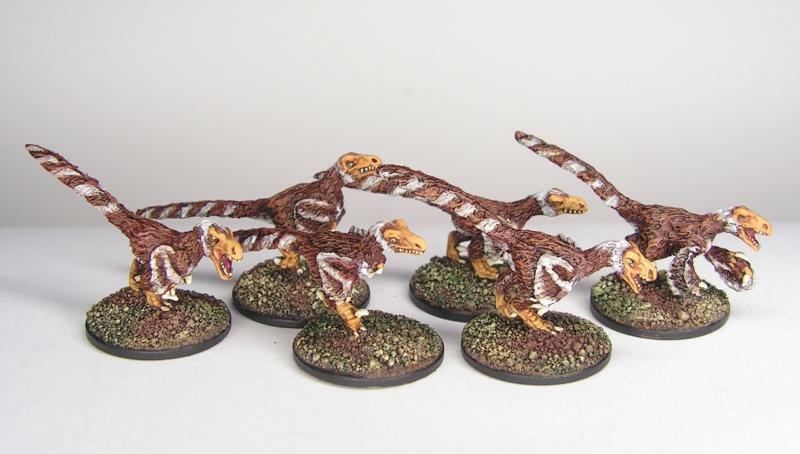 The mammals, but not the dinosaurs, reappearing years later from Strategem/Trent Miniatures whose own tribulations made getting hold of them sometimes frustrating (but they are currently available via North Star). And now this. 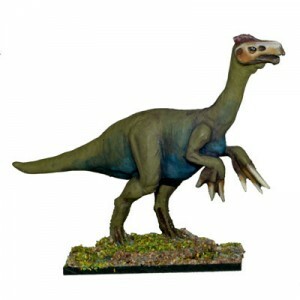 Is there any chance that some of the best prehistoric miniatures will be available from a stable supplier (one with a working e-commerce facility would be really nice)? In the mean time I need to work out how much I splurge on miniature mammoths, etc., taking Christmas, moving house and exchange rates into consideration. Couldn’t be a worse time for a closing down sale. 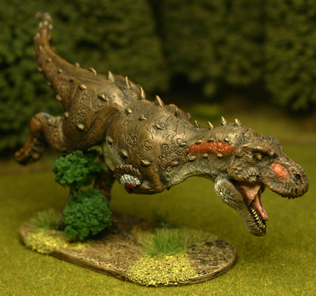 Posted on November 2nd 2009 at 8:11pm	 in Dinosaurs, Games, Miniatures. 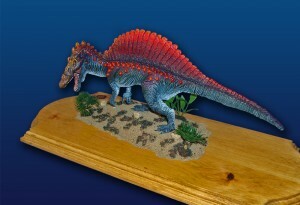 I’ve been updating my Dinosaurs in Miniature pages. 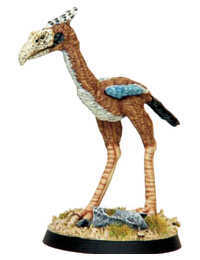 The main differences have been the addition of the MegaMiniatures megafauna that I posted about previously, the continuing expansion of the Dazed Miniatures range and some new miniatures from Wargames Foundry, including the Terror Bird shown here. BTW, Foundry have a 20% off sale until the 10th November 2009. So now’s a very good time to pick up these new goodies. At SELWG last month I picked up a “new” Smilodon from the “old” DZ range sold by Trent Miniatures. It’s in a walking pose rather than the leaping pose that’s been available for a while. 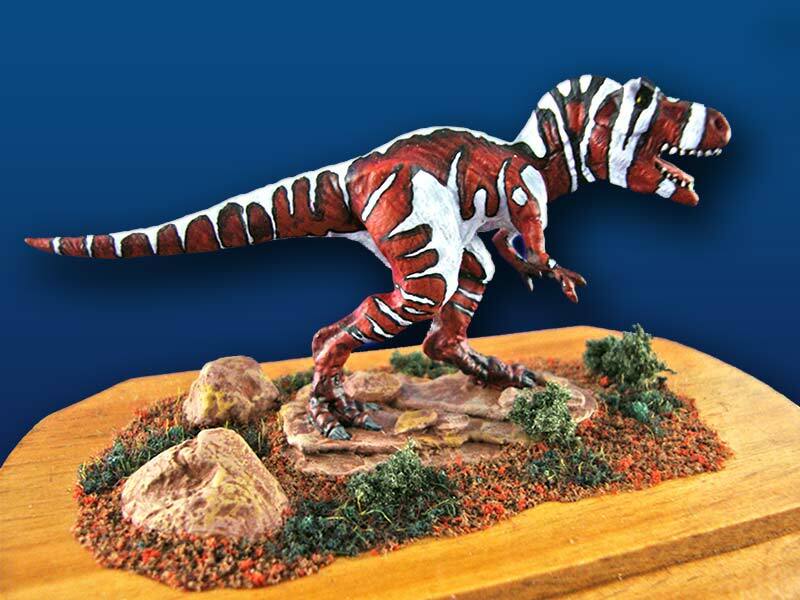 This range is now available over the web from North Star though this additional Smilodon isn’t listed. There have also been a few additions to the 10mm DinoMight range form Magister Militum. 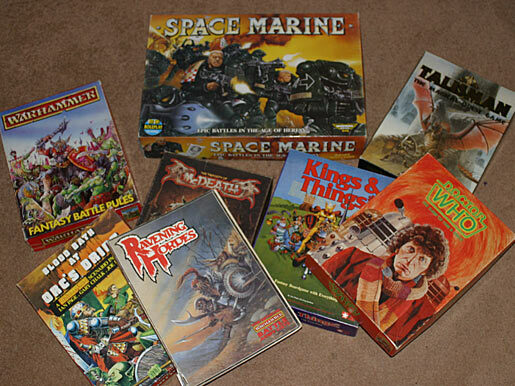 MY Miniatures ice age range seems to have melted away from the web with the close of Geocities. Does anyone know if they have a new web site elsewhere? 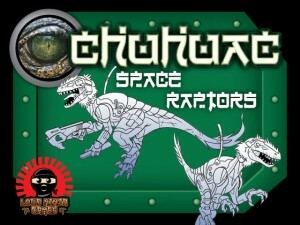 And finally, the Tusk rules are available as PDF via Wessex Games/Wargame Vault. You can still buy the paper version from Irregular but the new version has full colour photos throughout. I am currently growing a moustache as all big game hunters should.